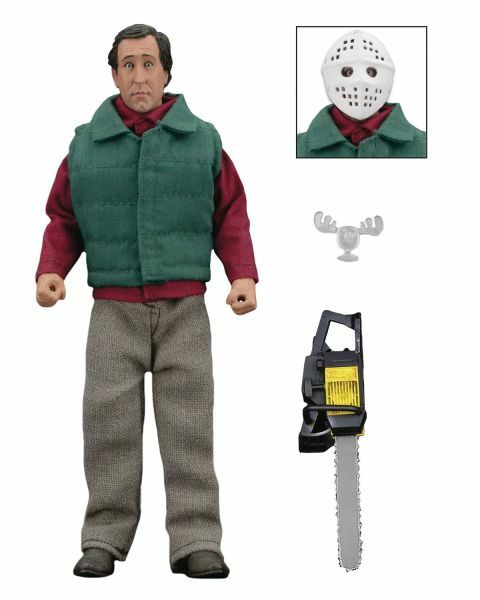 Produktinformationen "CHRISTMAS VACATION CHAINSAW CLARK GRISWOLD RETRO ACTIONFIGUR"
From NECA. Celebrate more than 25 years of National Lampoon's Christmas Vacation with this clothed action figure from the hilarious holiday classic movie. Chainsaw Clark stands 8" tall and has fabric clothing. The figure features the authorized likeness of Chevy Chase and includes plenty of accessories for complete holiday cheer: Marty Moose mug, removable hockey mask and chainsaw. Comes in collector-friendly window box packaging. Weiterführende Links zu "CHRISTMAS VACATION CHAINSAW CLARK GRISWOLD RETRO ACTIONFIGUR"
Kundenbewertungen für "CHRISTMAS VACATION CHAINSAW CLARK GRISWOLD RETRO ACTIONFIGUR"